Lean in 15 features a hundred recipes for nutritious, quick-to-prepare meals and guides you through Joe’s signature HIIT (High Intensity Interval Training) home workouts – revealing how to combine food and exercise to ignite intense fat-burning. EAT MORE. BUILD MUSCLE. BURN FAT. Lean in 15: The Shape Plan introduces a new way of eating and training to build lean muscle and burn more fat. Joe Wicks, aka The Body Coach, has helped hundreds of thousands of people transform their bodies and feel amazing. In the Shape Plan, he shares 100 delicious recipes and four new workouts to take your fitness to the next level. Are you ready to start your transformation and get Lean in 15? 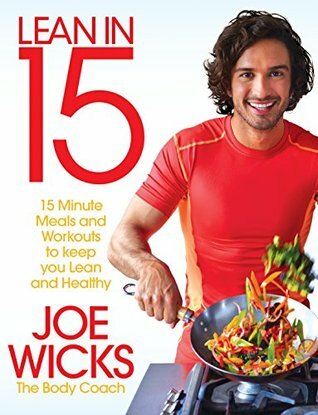 The new book by the record-breaking bestselling author Joe Wicks who wants you to eat more and exercise less – with 15 minute meals and workouts to build a strong & lean body, this is the ultimate book for those seeking a transformation. 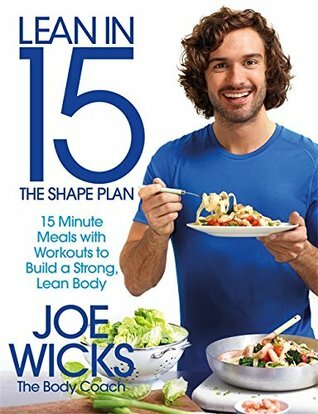 When I started healthy and clean eating to help my weight loss, I ordered Joe Wick’s lean in 15 from the library I work in. There’s always a big waiting list for them but I wasn’t waiting too long. These two books have amazing recipes in them. Healthy but not boring. I looked through these books in the space of a month and I was pleasantly surprised. Sometimes healthy cookbooks can be boring and make you want to give up on being healthy. The Lean in 15 books not only look great but have some brill recipes in them and the work out section at the back in very helpful. I loved browsing through both books and got some great ideas for healthy dinners and some healthy deserts as well. I have lean in – such a good book. One I am finding I use a lot is Oodles of Noodles. As you can tell from the name, it is Asian inspired. IT has some really great authentic recipes but it can get quite costly as it is obscure ingredients. 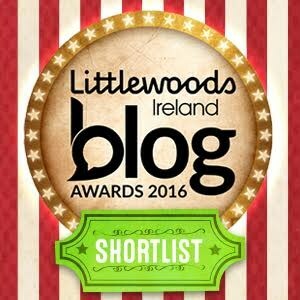 If you ahve time, check out ym lastest blog post at http://www.tootinghustle.wordpress.com and let me know what you think!